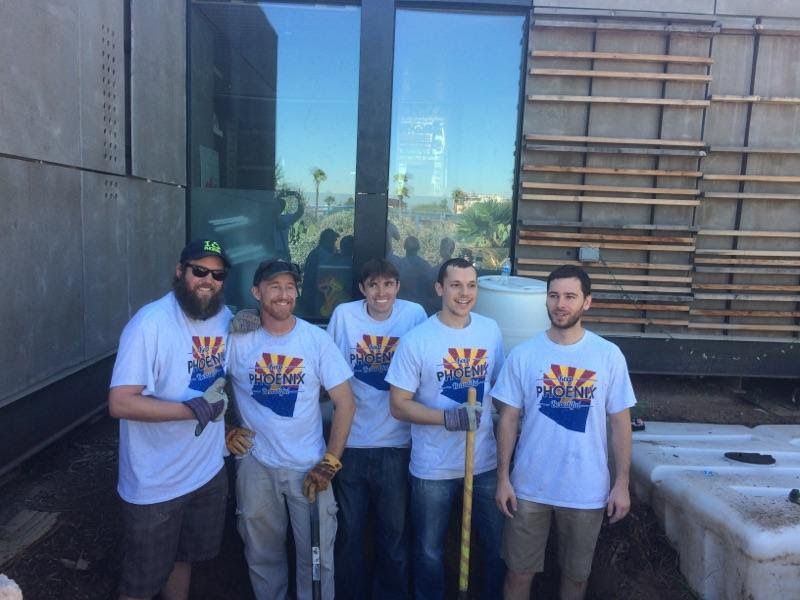 Several Delta Chi Arizona Valley Alumni Chapter members sacrificed their Saturday morning to volunteer for several projects at the Phoenix Renews garden on Saturday, November 5. While there were numerous projects undertaken at the site, the Delta Chi brothers volunteered for the most labor intensive. We dug out a septic tank that had become exposed with flooding, removed several extra feet of dirt, then re-installed and buried the tank. Phoenix Renews is a central Phoenix community garden maintained by the City of Phoenix. This volunteer event was coordinated by Keep Phoenix Beautiful, an organization with which Arizona Valley Alumni Chapter member Jason Michael Walker is heavily involved. If you want to find out about more community service events, please check our Events page.